Christmas Stroll is an absolute can't miss island event and with the 42nd Stroll upon us this upcoming weekend, Nantucket Insider met up with island local of 31 years and New York Times bestselling author, Nancy Thayer, to discuss her latest book and favorite holiday traditions over coffee. 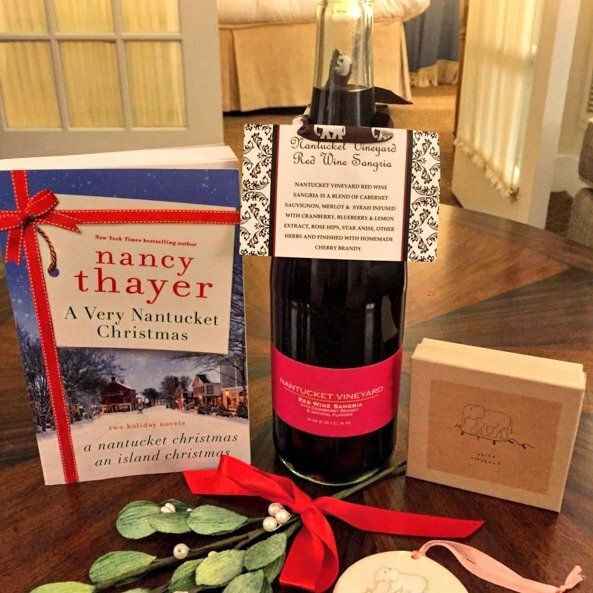 Nancy's latest holiday novel, A Very Nantucket Christmas, was released on October 27, 2015. The festive collection features two tales set on Nantucket island, A Nantucket Christmas and An Island Christmas. Nantucket Insider: How did you come to find your focus - writing specifically about the people, places and events on Nantucket island. 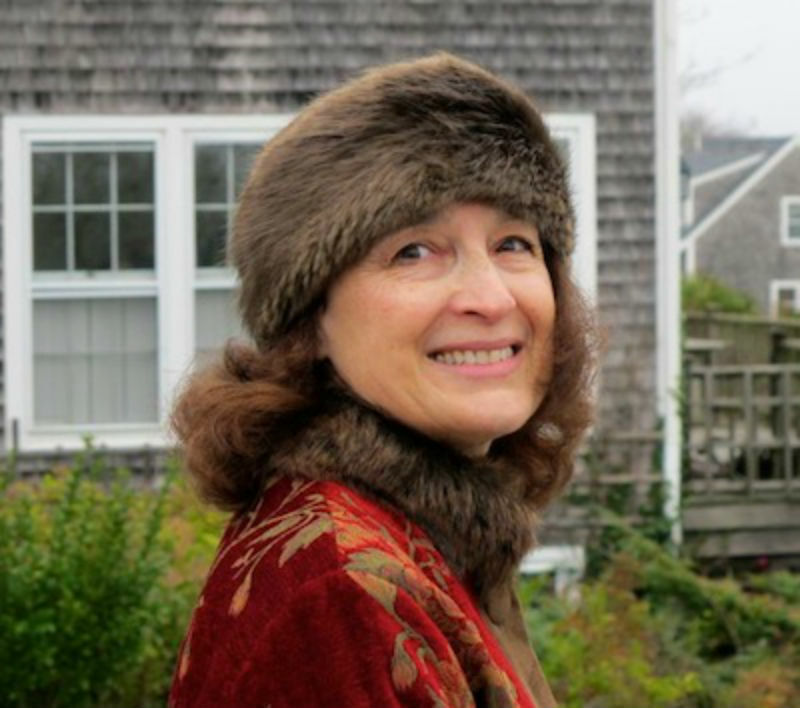 Nancy: I was living in Williamstown, Massachusetts, and had published my first three novels with Doubleday when, in 1982, I came to the island to visit a friend and fell in love-with the island and with Charley Walters, who interviewed me for Arts View, his show on a local television station. It was an excellent interview-we were married two years later and I've lived on the island with him for 31 years. Since then, most of my books have been completely or partially set on the island. Nantucket is an infinite treasure trove of ideas and images-the lighthouses, the golden beaches, the charming town, the distance from the "real" world. It allows us to be set free for a while of daily concerns and look into the distance, take a deep breath, and dream. 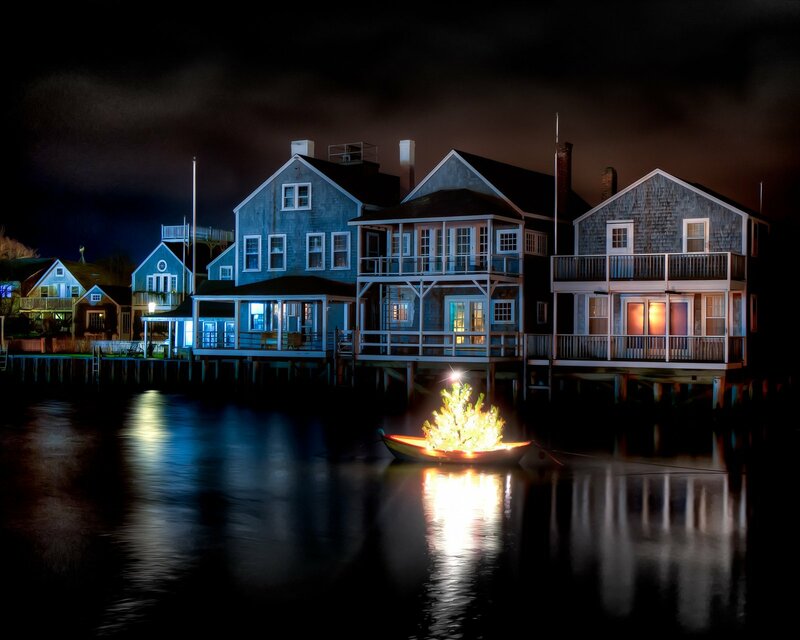 Nantucket Insider: Nantucket was recently voted as the 4th best place to celebrate the holiday season in the United States on the top 20 list by Washington Post and one of the Top 12 "Out of the Ordinary Christmas Get-Aways" by Forbes Travel Guide. 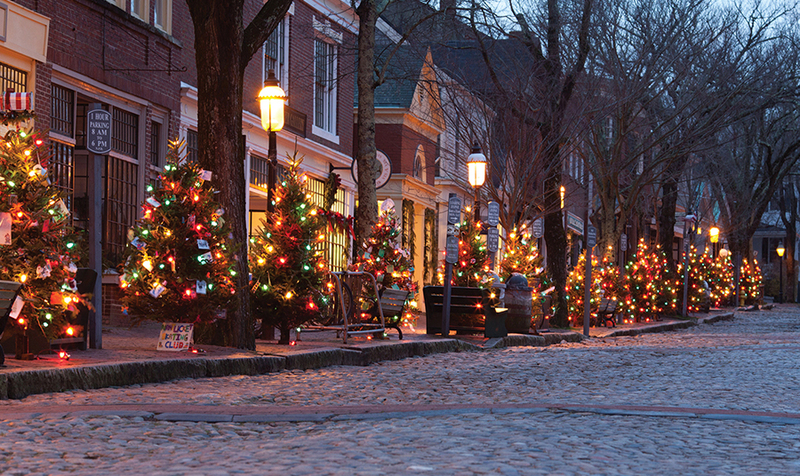 What do you think it is that makes the holiday season so special on Nantucket? Nancy: Nantucket provides a Charles Dickens world; cozy and charming and cut off from the mainland, a kind of magical bubble with fabulous shops, elegant bars, and world-renowned chefs and restaurants. It's become a second home for many celebrities, athletes, CEOs and actors, so you never know who you'll be seated next to at dinner! Nantucket Insider: What is your favorite Nantucket holiday tradition? Nancy: I love the Christmas Stroll, held the weekend after Thanksgiving. I've written about it in both my Christmas novels, and in other novels too. Small Christmas trees sparkling with lights line the streets. Shop windows and hotels are fabulously decorated. I shop with friends, stopping for a hot bowl of clam chowder and a cold glass of champagne. It's like an enormous party! At night, in the harbor, sailboats illuminate their masts with Christmas lights. Looking out over the dark water as the ferries glide in like floating castles is pure enchantment. 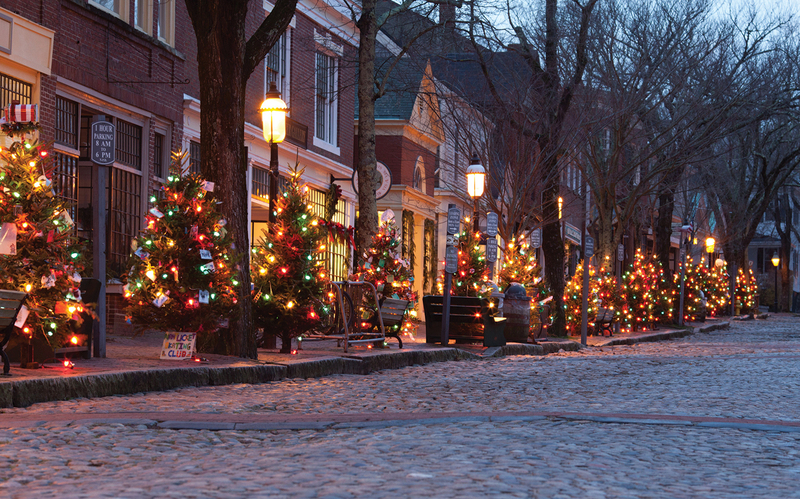 Nantucket Insider: What is your favorite family Christmas tradition? Nancy: Shamelessly, I admit: Opening presents on Christmas morning. We all love giving presents, and with our family, it takes all morning. We start with coffee as we open presents, and after an hour or so, we pause for scrambled eggs and champagne. Then, more present-opening. Of course everyone gets books and games from Mitchell's Book Corner and Book Works. After we all go for a long walk, we settle in to read while the turkey roasts. Nantucket Insider: What can we expect from you in 2016? Nancy: My new novel, The Island House, comes out in May, 2016. It's about a fortunate but eccentric family with a huge house on the bluff and lots of romance and even more secrets. Nantucket Insider loves White Elephant's new package for Stroll 2015- featuring an autographed copy of A Very Nantucket Christmas, in our White Elephant Christmas Stroll Package. 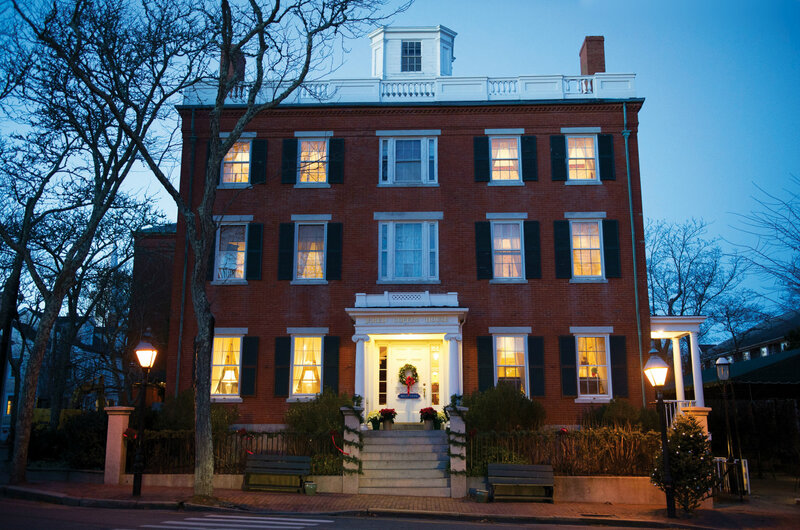 The package includes three night accommodations, a White Elephant Christmas Stroll ornament, hand crafted by a local New England artist, mistletoe and Red Sangria from Nantucket Vineyards, with a recipe to create holiday mulled wine. For more information on the 2015 Christmas Stroll activities on island visit the Chamber of Commerce's Stroll Preview. 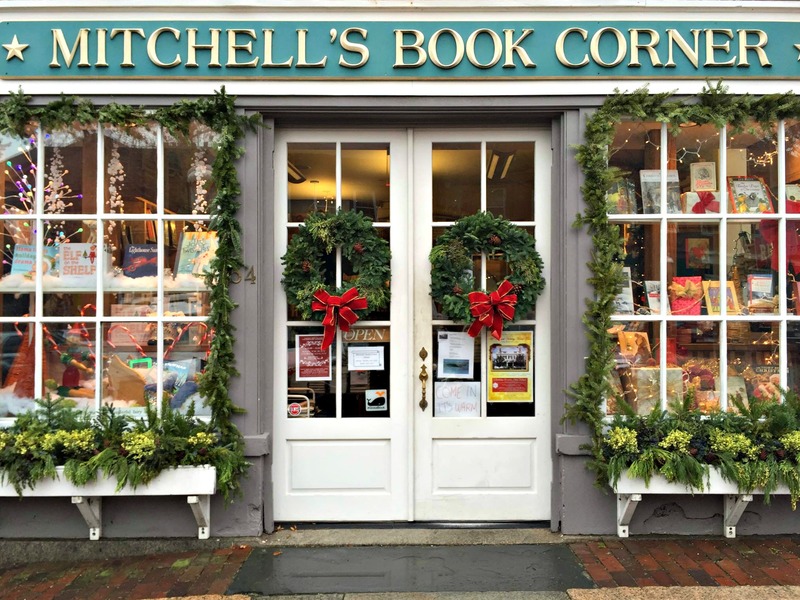 While on island for stroll, pick up a copy of Nancy's latest book, A Very Nantucket Christmas at Nantucket Book Works or Mitchell's Book Corner in town.